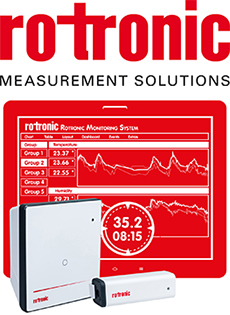 Sensor Technology manufactures the TorqSense and LoadSense ranges of rotary torque transducers and wireless loadcells, and the WSG series of wireless strain gauge transmitters, offering accurate, affordable, market leading products across the whole range of industrial applications. TorqSense torque transducers offer cost effective, non-contact digital rotary torque measurement, suitable for torque monitoring, testing or controlling drive mechanisms and are particularly appropriate for OEM applications; available from 10mNm to 13000Nm, with overload up to 300%. LoadSense is a strain gauge based stainless steel tension type load sensor with the capability of wirelessly transmitting its data to one of our compatible readouts and recording its data locally on it’s inbuilt memory. LoadSense transmits using the worldwide licence free frequency of 2.4GHz on two built in antennas. The load sensor can be integrated with a crane hook, fork lift or other handling devices, with available sizes from 1 Tonne to 50 Tonnes. The WSG series of wireless strain gauge transmitters offers the ability to convert any strain gauge based sensor into a wireless one. Using the same 2.4GHz technology as the LoadSense series, data can be transmitted over 100m to one of our readouts/interfaces. Modules include DIN rail type, and can also come with various battery options.